‘If you don’t engage people’s interest, you won’t have their support when it comes to raising funds to save an endangered species,’ Binti explained. An international vet, Binti has taken her photographer husband and two children to frozen Russia in search of one of the world’s rarest creatures, the Amur Tiger. 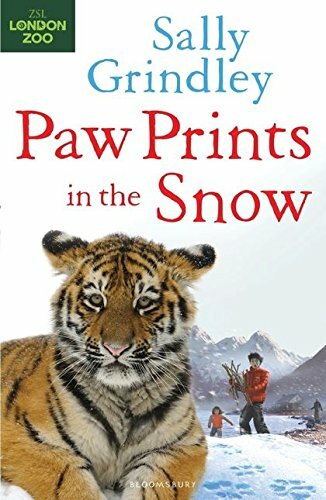 Paw Prints in the Snow is the first in a series of adventure stories written by Sally Grindley in consultation with London Zoo, not only to inspire future conservationists and vets, but also to contribute to fundraising in support of such conservation. Seen through the eyes of Joe, Binti’s nine-year-old son, the Russian wilderness is a place of mystery and intrigue.